Contemporary urban design meets classic Inner Loop luxury at Villas at River Oaks. 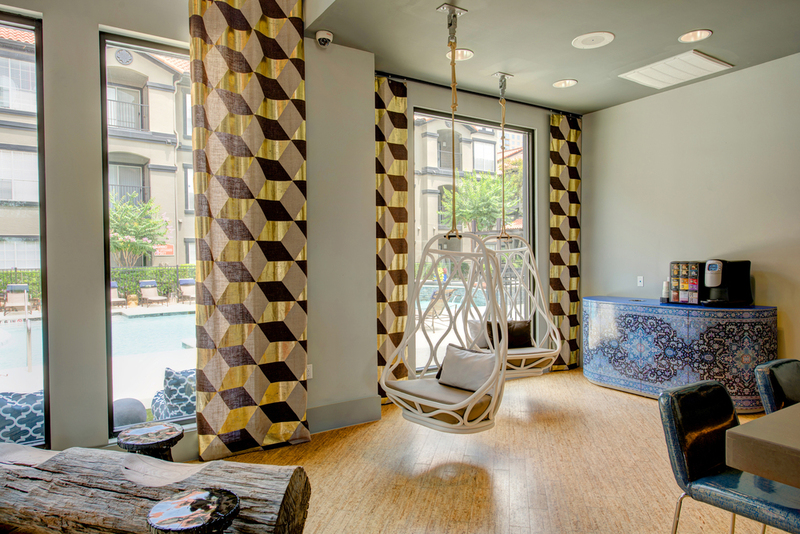 This resort-style community creates an oasis amidst the bustle of vibrant Houston, offering apartments and amenities thoughtfully designed for inspired living. The stucco architecture is surrounded with lush landscaping to create a visually stunning home base for your adventures in Space City. 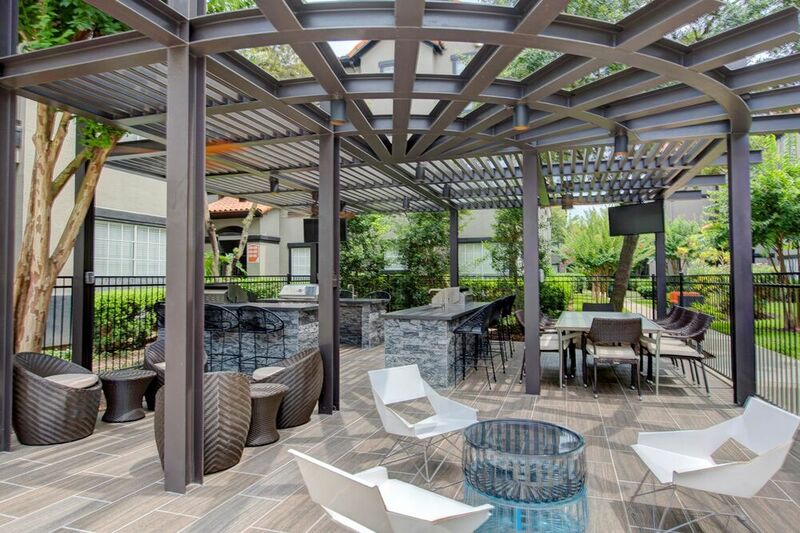 With its community herb and vegetable garden and outdoor entertainment lounge, you can expect the extraordinary from the social spaces at Villas at River Oaks. 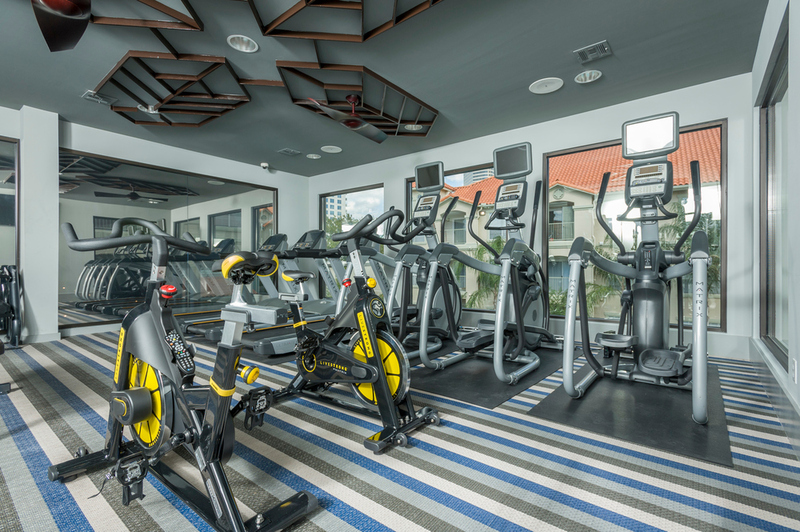 With a yoga studio, clubhouse café and outdoor kitchen, the relaxation and recreation options are endless. Step inside these upscale apartments to find carefully crafted details, including warm wood-style flooring, granite countertops and walk-in closets. Uncompromising quality is found throughout the stylish homes at Villas at River Oaks. Enjoy the wide selection of well-balanced one and two bedroom floor plans offered by Villas at River Oaks. Each distinctive layout has premium features such as walk-in closets and track lighting, as well as subway tile backsplash and 9 foot ceilings. View the models currently available to discover your ideal home. Picture yourself on an indulgent vacation with a resort-style saline pool surrounded by lavish landscaping, relaxing on a lounge chair beside an outdoor flat-panel TV while a friend grills dinner nearby. 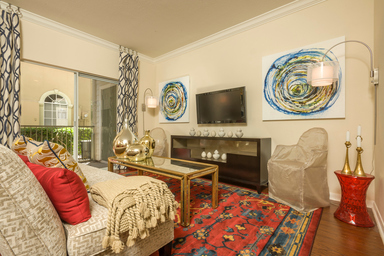 This experience can be your daily reality when you make your home at Villas at River Oaks. 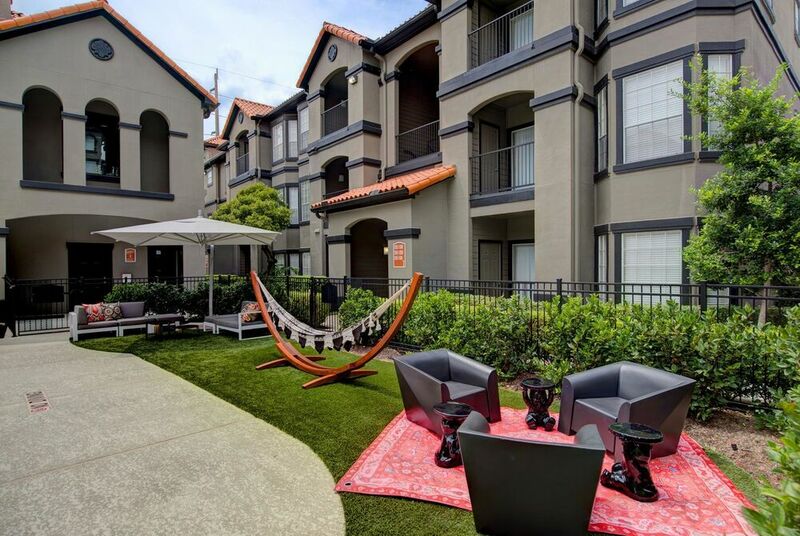 You’ll find life at Villas at River Oaks to be the pinnacle of convenience, located within walking distance of the famed River Oaks shopping district and directly across the street from Buffalo Bayou with its vast greenspaces, jogging trails and dog park. Villas at River Oaks places residents next to Houston’s most desirable areas, including Montrose and The Heights.